A fine finish to the season ! This was one of the best performances of the season, and we finished off on a high. The final game of the season saw the opportunity for Marlborough to go top of the league and then hope for the 3rd Team to beat the league leaders - West Wilts (after note – the 3s went 1-0 up after 2 mins before gallantly losing 5-1, but were holding West Wilts to 2-1 at half time). So we gathered at Corsham for the final game of the season, against a team that "mathematically" could still pip us for promotion. But we were too strong for that an played some very good hockey. We went 1-0 up when Will Radnedge opened the scoring with an excellent goal. He had his back to goal on the right side of the D, he swivelled to his left and flicked the ball over the advancing keeper. It was a tight and evenly matched game and eventually we won our first short corner. Come to think about it, we have actually got a good rate of converting short corners in the second half of the season. 2-0 Will Radnedge scored again from our first short corner. Dan Crossman injected, Nick Jephson trapped the ball, Keith Radnedge slipped the ball left and Will Radnedge fired in a low flick. 2-1 Corsham rarely penetrated our D, but when they did on their first occasion the perfected an excellent and excellent drag flick. This was a real threat and we would need to shut them out of the D.
2-2 Corsham pulled it back to 2-All with a scrappy gaol and they suddenly felt like they could go on to win. 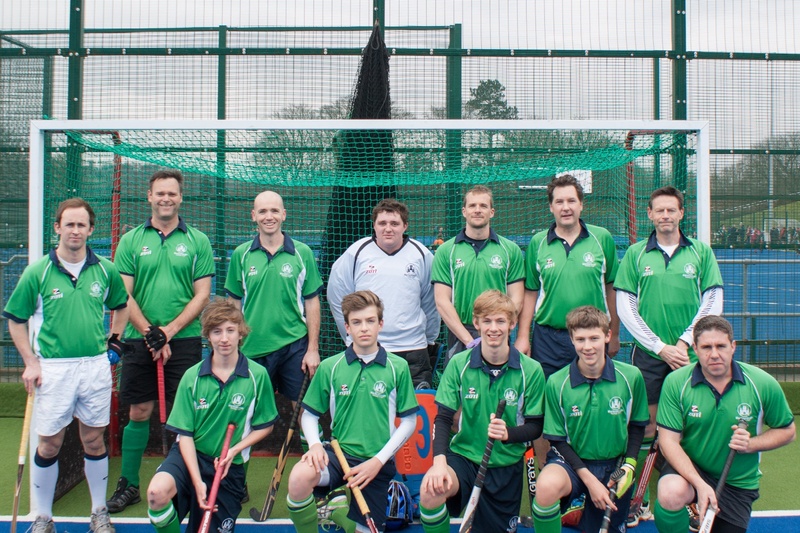 Actually, all it did was fire up the Marlborough team and we started to play with a renewed sense of urgency and playing much more penetrative and threatening hockey. However, Corsham got another short corner, against the run of play The drag fliccker fired towards the top corner and rich newton stretched out his right glove and deflected the ball over the goal. Amazing save to keep us in the game. The second half was an extremely disciplined performance despite Jamie Williams and Francois Killian both spending time in the “Sin Bin”. 3-2. Then, with about 5 minutes to go our pressure paid off and we go another short corner. Keith slipped the ball right to Will who passed it back inside and Keith pushed home the winner. From this point the Corsham heads seem to drop and we continued to maintain our structure and play the most attacking hockey. A huge well done to the young front three of Jamie Williams, Dan Dix and Monty Sofflet who were dead on their feet having to cover for the extra 4-5 substitutes Corsham had at their disposal. MEN OF THE MATCH – Will Radnedge & Rich Shuttleworth. THANK YOU ALL FOR A GREAT SEASON AND YOUR SUPPORT – now time to allow your bodies to recover and enjoy the summer!